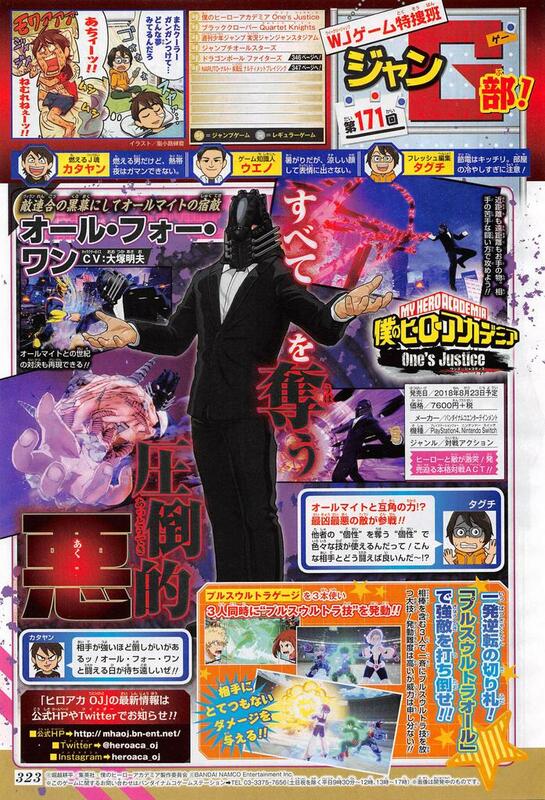 A new scan coming from Weekly Shonen Jump confirms All for One’s playable status in the upcoming fighter, My Hero One’s Justice. It seems like All for One will attack with the various quirks that he had during his fight with All Might in Season 3 of the My Hero Academia anime. He will start the fight with his mask unbroken, but hopefully this can be changed by taking enough damage since that would be another example of good attention to detail by the team developing the game! My Hero One’s Justice releases soon, it seems as if we’ve finally seen every character that the game has to offer. Look forward to checking them all out when the game releases late this month in Japan!